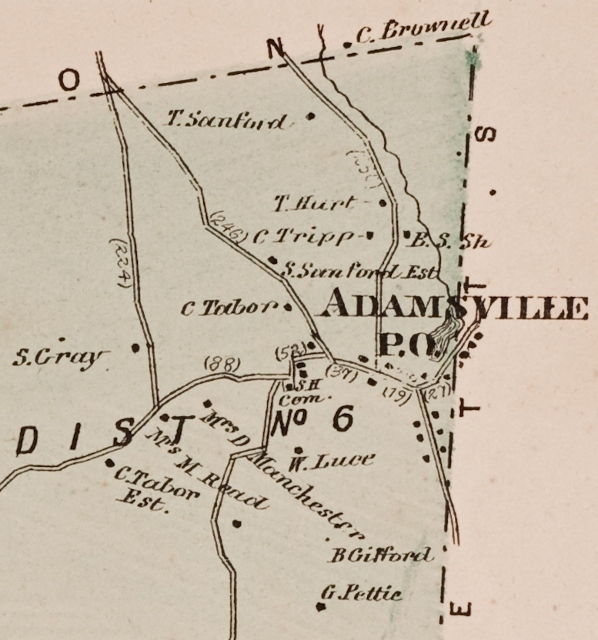 The border between Adamsville and Westport was changed in 1747 from the west bank of the Westport River (which is just to the East of Brayton's Garage) to this location in the middle of the mill pond. 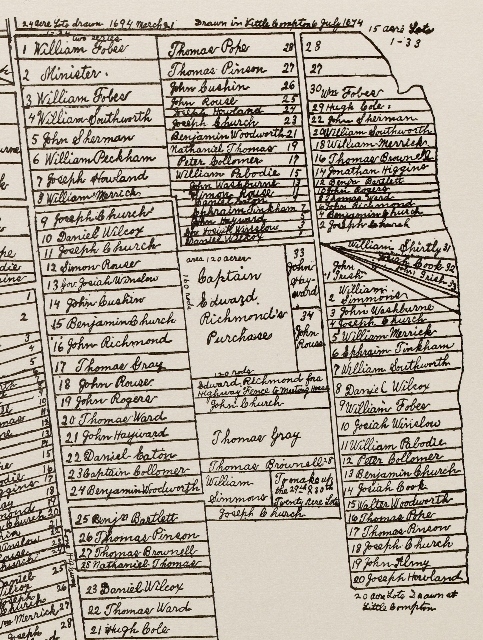 The new border cut though established lots creating private properties that were half in RI and half in MA. Though more than two centuries old, the "new" border continues to cause difficulties for dual-state homeowners today. More importantly, Little Compton lost its claim on the "Acoaxet" triangle, one of Massachusetts' loveliest seaside communities. 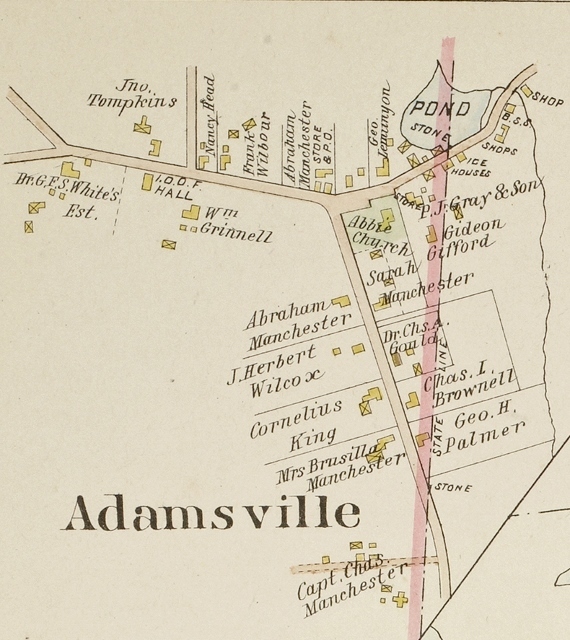 1870 Map of Adamsville: This 1870 map clearly shows how the border between Rhode Island and Massachusetts was redrawn as a straight line in the 1740s, as opposed to the earlier border that followed the meandering course of the Westport River. Marjory O'Toole, “The Border Today,” Rhode Tour, accessed April 21, 2019, http://rhodetour.org/items/show/113.